As usual, wonderful and warm response to the latest Green Recovery post. Thanks to Wendy for sharing and to all of you for welcoming her story so graciously! I have been vegan for a little over 6 years and always strive to eat healthful whole foods. Recently I have noticed that I am loosing lots of hair on my head, so my doctor took my blood to test my iron levels. Even though I eat lots of iron-rich plant foods (seeds, nuts, dried fruit, beans, greens), my iron counts were still way too low. Now, I am taking an iron supplement, but I really want to eat my nutrients, not take them in supplement form. Could you give me some ideas on how to add more iron-rich plant foods into my diet so that I won’t have to be on this supplement forever? My doctor told me to start eating red meat and liver (!) and I was kind of horrified. ●Severe deficiencies of any kind (B12, D, iron, etc.) can often be an individual problem that really does demand close medical attention; you might have malabsorption issues or a health challenge that’s causing your levels to dip very low. Talk to a medical professional whom you trust about exploring the deficiency further. ●Strong iron supplements can be very binding, so try to take them along with lots of water and other foods that help you to eliminate well: this varies from person to person, but for me it’s lots of fresh juice, some whole grains, dried fruit, beets, band lot of salad, naturally. Some people are surprised to hear about that first item: molasses has iron? It does, and if your bloodwork ever indicates low iron levels, you may want to try having a tablespoon of blackstrap molasses each morning (straight up, or in a bowl of hot cereal). It’s a concentrated iron source (15% of your RDA per tablespoon on average), and many find that it helps to stave off any signs of iron-deficiency anemia. If you can’t tolerate the taste on its own—which is understandable, given how distinctive it is—I recommend hiding it in foods. Put two teaspoons in a bowl of oats, a teaspoon in a smoothie, or a nice hefty dose into a baked goods recipe You might even put it into one of my chia puddings! If those ideas don’t work, give these iron-rich enchiladas a try. The filling already provides some iron from black beans, but adding some blackstrap molasses makes it an even better food source. Beyond that, these are a perfect summer potluck or easy dinner recipe: if you cut the prep into a few phases (I made the sauce the day before I assembled these, the filling the morning of, and just baked them at night) they’re actually pretty easy to assemble. They’ll work nicely for a hearty summer meal or a warming winter one, and I can’t recommend them enough! First, make the sauce. * Bring a pot of salted water to boil. Place the tomatillos in the water and cover the pot. Cook till the tomatillos' skin is splitting and peeling off, about 10-12 min. Remove the tomatillos from the pot, allow to cool for a few minutes, then add them to a VitaMix or blender with all other ingredients. Blend on high till sauce is smooth (you can leave it a little textured if you like, but I prefer mine to be creamy). Bring a large pot of salted water to boil and add the sweet potatoes. Cook till they're fork tender (about 10-12 minutes), then drain. Heat the oil over medium high heat in a large skillet. Add the onion. Saute the onion for 5 minutes, or until clear, stirring frequently. Add the cooked sweet potatoes, black beans, molasses, almond butter (if using), lime juice, salt, cumin, chili powder, smoked paprika, and black pepper. Stir everything to combine, then remove the skillet from heat. Use a potato masher or the back of a spoon to mash the mixture about halfway, until it's still chunky but the potatoes and some of the beans are broken down. Assemble your enchiladas by placing about ⅓-1/2 cup of the filling into each of your tortillas, rolling them up, and laying them side by side in the baking dish. Cover them with all of the tomatillo sauce (they's supposed to be smothered), and then dot them with the cashew cheese, if using. Bake the enchiladas for about 30 minutes, till the cashew cheese is browning and the enchiladas are hot and bubbly. Serve. *In place of the tomatillo sauce, you can use 1 14-ounce can store-bought enchilada sauce of choice. Leftover enchiladas will keep for up to 4 days in an airtight container in the fridge. They can be frozen for up to 1 month. Again, the enchiladas are easy to prepare ahead of time: whip up the sauce a day or two beforehand, make the sweet potato filling the day or night before (it’ll keep nicely in the fridge for at least 48 hours) and then simply assemble on the day of serving. 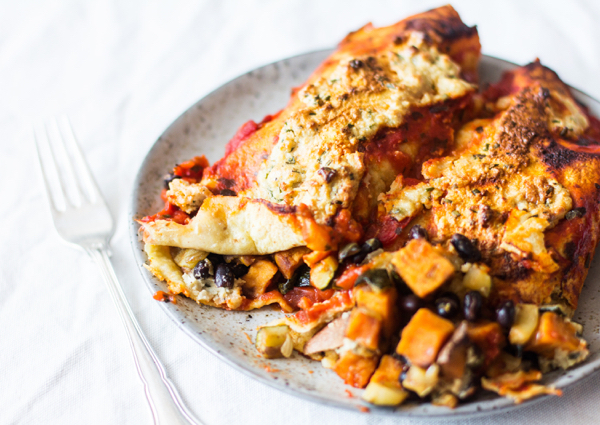 1 serving of these vegan sweet potato and black bean enchiladas provides you with over 30% of your RDA of iron. So, if you’re eating a balanced diet throughout the day, and if you pair them with a side dish (or array of side dishes) that also has a decent iron content, you’re in good shape to finish the day full of the plant-based iron you need. Keep in mind, too, that our bodies absorb iron better when we’re also eating vitamin C, so serving these with some fennel or red peppers is a great idea! Hope this offers some clarity on iron, and inspires you to veganize your favorite enchilada recipe. Tell me, how do you get your RDA of iron? What are your favorite sources? OMG Gena these look unreal. I think I just decided what I am having for dinner. Question: How do you feel about food combining beans and starchy vegetables? I never know how to combine beans since they are both a starch and a protein. Thoughts? I don’t personally practice or believe in food combining, but if you do, I’d say that you can combine beans as either protein or starch, though most food combiners find that they combine most easily with other starches. So glad to see blackstrap molasses as your first suggestion! It really is a wonderfully nourishing food. Many people enjoy it more as a beverage (just stir about a tablespoonful into 6 oz of hot water.) The sweet, deep taste is very relaxing and easier to take when diluted in water. I bet the enchiladas are awesome—but I must admit that personally I still can’t quite get down with the fake cheese. Maybe nooch on-top instead? Or top with salsa? Those look great! I love your mexican recipes! Great post and thank you for touching on iron, Gena. 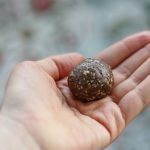 As you said once a severe medical issue is ruled out or in a very small percentage of women who are unique circumstances, I think the average woman can chunk the iron pills (so hard on our systems and digestion anyway! )and get her iron from food based sources. My .02 only, of course. To each her own and I am just saying what I have done and it doesnt mean that approach will work for everyone. Wonderful iron information, thanks! Something I should be more mindful of. I try to get iron from beans mainly, I eat a lot of tempeh, soy beans and lentils. 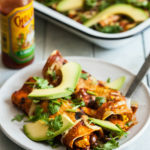 The enchiladas look divine, I need to try these because they used to be one of my favorite non-vegan dishes to make and just fell out of the rotation when I went high-raw vegan and started trying so many new recipes and ingredients. I’ve been anemic for quite some time and just recently my iron levels were “normal” (unfortunately my other blood counts were oddly low so I have to go see hemotology next month… but that’s a different story). I love adding molasses to oats—thanks for spreading the awesomeness. I also really appreciate your sharing your thoughts on taking supplements. I remember in my first-ever nutrition class, the professor said, “The only thing a vitamin can cure is a deficiency of that vitamin.” While I think that can be interpreted as an oversimplification, I would agree that I find that to be technically true—some of the symptoms associated with nutrient deficiencies are bizarre! They can also be very serious. Having a doctor willing to delve a little deeper is so worth it. When I was feeling like death last fall and having lots of strange physical, mental, and emotional symptoms, my doctor suggested we check my B12 levels—go figure, I was really deficient. Taking a daily B12 supplement helped me get back to normal within a few months. Thanks for the recipe. 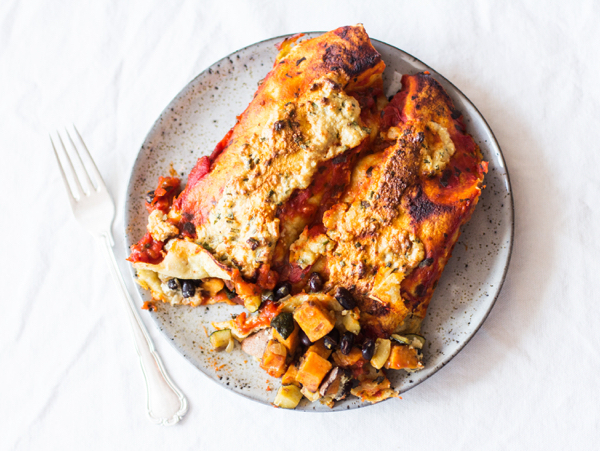 I’ve been wanting to make enchiladas at home recently, and these look fantastic! Swoon is right! These look amazing! Molasses in a chia pudding?! Interesting! I may just have to try that. I’m mentally organizing a potluck so you can make this for me. These look delicious! Definitely not a summer dish here in the southern US though with the boiling, saute, and oven! Question about the spinach….I eat raw spinach all the time in green smoothies and salads. Should I be cooking the spinach and using other greens like lettuce in salads? Love this post! I am particularly aware of iron because last year (as a direct result of a medicine perscribed by my doctor, not my diet) I found out I was very iron deficient. Since, I’ve gotten my levels back up with supplements and an iron-rich diet. I love blackstrap molassas and am always looking for new ways to incorporate it into my diet. I never thought to put it into something savory; this recipe is SO creative! And sounds delicious. Isn’t it iron that blocks calcium absorption, not the other way around? I could be wrong, though! cant wait to try this! daiya cheese is the best! Well-timed post! I just gave blood today. I’m starting the supplements for a while just because I have a history of low iron, but thanks for the refresher on iron in foods and other iron-related issues! How about cooking on cast iron pans? From what I understand it can be a great source of iron. I cook pancakes, stir fries, veggie burgers, tempeh, and more on cast iron. Wonderful post once again, G! You sure know your plant- based diet information well and one day will make one awesome doctor. Patients who come to see you will consider themselves VERY lucky :)! You’re right- iron, b12, folate, vitamin D and other fat-soluble vitamins and minerals can be a scare when eating a vegan diet. Anemia also runs in my family and in fact, my mom had to stop being vegetarian because of it. I’m proud to say I’ve never had low iron or any deficiencies with my levels. I definitely owe it to eating a wide variety of plant- based foods in generous quantities: lentils, grains (quinoa, millet, amaranth, etc), seeds, dried fruit, nuts, soy products, leafy greens, nutritional yeast and more! A plant- based diet can be more fulfilling than a omnivorous one if you know how to properly get everything in! I’m so glad you posted this! I am a new vegan (still under one year) and I knew I had to worry about b12, but was not aware of iron. I have been told I was anemic before in my life and recently I became concerned about hair fall-out. I am betting this is my problem and I’m going to amp up the iron rich foods (which I love anyway!) and see if it helps! Thanks!! I’m trying to pay attention and absorb this good info on iron, but find myself terribly distracted by the gorgeous gooeyness of this dish. I love tomatillo sauce but have a hard time finding them. I’ll be holding out on this dish until I do find some. I love this post for 2 reasons. When I was at the grocery store this morning they had some tomatillos for sale and I thought, I really need to find a recipe that uses tomatillos because I’ve never cooked with them before and would love too. And the second, as a new vegan and a regular blood donor, I struggle to keep my iron levels high enough to allow me to donate every 2 months. I don’t like supplements, although I respect that some people have no option, and am thrilled with the idea of using molasses in hot water or simply by the spoonful to help with keeping my iron levels in a healthy range. I forwarded this to my mom as soon as I read it. Awesome post, so much info. Your blog is such a wonderful place to come and search for information. Thank you for writing Gena! I keep telling myself that i should have all my levels tested but alas…8 years after becoming a veg head and still haven’t…at least i went to the dermatologist, right? hehe. I had never had a problem with iron, in spite of being vegetarian since the age of 12, until I trained for a marathon. Turns out I had a combination of too much exercise, bleeding juvenile polyps (sorry, TMI), and perhaps gluten intolerance that were leading to this problem. I mention this because I second your comment about looking for other causes. My doctor immediately jumped to the conclusion that it was my diet. I was the one who had to request a colonoscopy and a blood test for coeliac. I am not one for self-diagnosing, but after this experience I AM one for pushing your doctor when something doesn’t sit well with you. I went 15 years on a plant-based diet before I ever saw an iron deficiency, and it wasn’t because I had used up all my iron stores or changed my diet. Oh, and my favourite sources of iron are probably beans, cooked spinach and bok choy. Terrific post, Gena! Luckily, I am not iron deficient, but your suggestions are fantastic! The one supplement that I’m convinced is valuable to everyone (in addition to B-12) is Vitamin D as the RDA is considered extremely low, with the vast majority of experts recommending supplementing with 1500 – 2000 mg./day – which is extremely hard to achieve no matter what one’s dietary preferences. I know your opinion differs, but there seems a great deal of evidence that high levels of Vitamin D can serve as a preventative measure to a vast majority of health conditions including as we’ve long known, osteoporosis. Gena. I am in my low 30’s and have had low iron for over 10 years. My iron(ferritin) was at 7 which is very low. I tried eating meat and took supplements….it would gradually get better but still it was between 11-18. Do you want to know what I did to have normal iron values? I took wheatgrass every single day for months. Wheatgrass is a powerhouse of nutrients which made my iron levels 45 . I also tooke E3 Live. For the first time my iron is good and it because of nature. Yay, I’m happy to see that I eat a lot of iron rich food. My favorites are dried apricot, black beans, quinoa and tofu! I really appreciated this post, more ‘spotlight on’ posts would be great! Gena, I’ve never heard that people may have trouble absorbing non-heme iron for a period after switching to a plant-based diet. Do you know of somewhere I could read more about that? Thanks! I don’t comment often but I wanted to second how important it is to look into iron-deficiency further as a woman, rather than just say ‘oh, well I get periods so that must be it’. This is one of those ways that I think women really do lose out – when doctors just assume that the fact of being a woman means your body isn’t good enough to take care of itself. I was reading an interesting article a little while ago (here: http://professorkateclancy.blogspot.com/2011/01/iron-deficiency-is-not-something-you.html) where they went ahead and used the tests that would be used on a man who presented with anaemia on women who would normally just be given supplements and told their period was to blame. 86% of the women had further conditions (gastro-intestinal bleeding mostly) which were affecting their iron levels and which had been ignored. My body is not broken just because it’s female, and the way a lot of doctors approach women has made me very vigilant to assumptions and very much inclined to research. good point but if you’ve had low iron you know it’s legit when your levels get better and you feel better. Yeah but there is nothing wrong with stating the fact that menstruating need more iron because of the fact that we bleed. Just different needs! I wouldn’t assume doctors are telling you you’re broken! But I agree about the possibility of underlying conditions that may be ignored because it’s easier to say, oh it’s because you menstruate. But even with those conditions you can’t deny that loosing blood would make it even harder for the body to keep iron stores. Great piece on iron. Anemia is common in people of Mediterranean decent is quite common. A key to looking at iron levels is whether they’re stable. I have low iron levels but my nurse practitioner, and the doctor who oversees her work, check my levels to make sure they’re stable (roughly the same number each time bloodwork is done). Despite my best efforts I can never get my levels to what doctors expect iron levels to be, but my numbers are always stable. I’m what they call a functioning anemic. My body has adapted to these low levels and I don’t have any side effects of low iron (low energy, hair loss, etc). I’ quite fortunate. I give credit to my healthy diet. As for the iron… :bites lip: I eat raw spinach almost every day. It’s my very favorite green. And frankly, since going vegan (11 weeks now) my appetite has decreased, my cravings have mostly dried up, I’ve lost 18lbs, and I just don’t eat that much food, period, so I’m mildly concerned about my numbers. 75% of what I do eat is nutrient-rich and plant-strong, but 75% of potentially not enough would still be not enough. I’m thinking that when I come back from France, in August, I’ll probably pop in to the doctor’s for a check-in just to make sure. I had more energy at first, have been feeling run-down lately, but 1) I’ve been highly stressed, and 2) not sleeping, so I’m betting it’s more related to that than nutrients. PS – stupid question. Is blackstrap molasses special or will any do? My jar just says “molasses” on it. Raw spinach is fine — the problem is eating raw spinach and counting on it to be your sole source of iron. I eat both raw and cooked, and love the variety! I disagree, eating the same kind of green like that isn’t good. Your body needs variety! 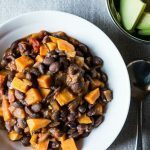 Wow sweet potatoes and black beans… my two favorite foods!! Nom nom nom. I need to add this to my ever growing list of recipes to try. Delish!! Wonderful recipe! 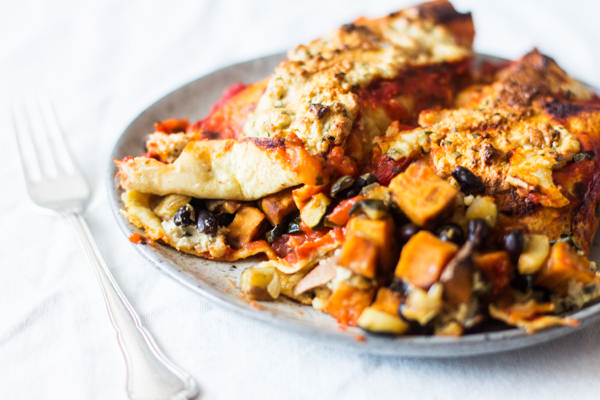 Sweet potato and black bean enchiladas are my favorite kind. I’ve been a vegetarian for three years and haven’t gotten tested for iron. I do love blackstrap molasses and tahini so I hope they are keeping my iron levels up. First time I make a comment, although I enjoy reading your blog every day. Thank you, Gena, for the awesome information about iron. I would LOVE to read other posts about vitamin B12, calcium, vitamin D, especially if you mention some food sources for them. We recently switched to a more plant-based diet (my husband, our 2 year old son, and I) and I am very interested in making sure that we get all the nutrients from food, especially for our son. The recipe looks tasty, as usual. thank you for making sure that being a vegan is always ridiculously delicious. So many things I could say about this! First, low iron can make you feel tired. But you may not have anemia. It’s important for the doctor to check stored levels like ferritin. Most mainstream docs will say “normal” when NDs and out of the box docs will want intervention even in low “normal” ranges. I’ve had both high iron and low both times not eaten meat. A friend of mine who eats meat had worse iron deficiency leading to anemia. One does not cause the other. Heavy periods can make iron stores worse. Beans can help, but didn’t help me. I was frustrated. My levels also went down eating more greens, wheatgrass, chlorophill. I had to get shots once and then infusions. But normally I take VegIron because the pills are small. I up it to three pills, and no stomach issues. Thanks for the expertise, B! Great information on iron, Gina, thank you! What a great Post! I’m soakin’ my black beans now!!! Thanks for the info Gena and starting the interesting conversation above. I will be sharing this with a friend of mine who was recently diagnosed with anemia. Food is a powerful medicine when empowered with more knowledge! These look SO good, Gena! Made this recipe today for lunch. Hubby and I loved it. Just a couple of minor edits in the instructions: Once the onions were sauteed I turned the oven off and added the rest of the ingredients. There’s no mention of when to add the sweet potatoes so I added them once the onions were done. Random q: How do you know if a can of (in this case) black beans is BPA free? I’ve read the cans in our Whole Foods and I’ve yet to find one that states it on the package. Are there brands that are known and I’m missing this info? I’d love to know I’m getting BPA free canned foods when I do buy them. Kelli, as far as I know, the only brand of BPA-free canned beans is Eden Organics. They have a new canning liner that is BPA-free and the cans say “BPA-free” right on them in the lower left-hand corner. Besides Eden Organics beans, the only other canned goods I know of that are BPA-free are Native Forest coconut milk (however they do not say it on the label). As far as I know, all other cans of food out there besides these two brands has BPA in them. Hope this helps! I love this blog – you are a beacon of sanity and deliciousness. My problem is with Calcium, especially now that I’ve stopped drinking skim milk. What do you recommend? Is there anything I could subsitute for the tabaasco sauce and chili powder? I’m allergic to peppers. 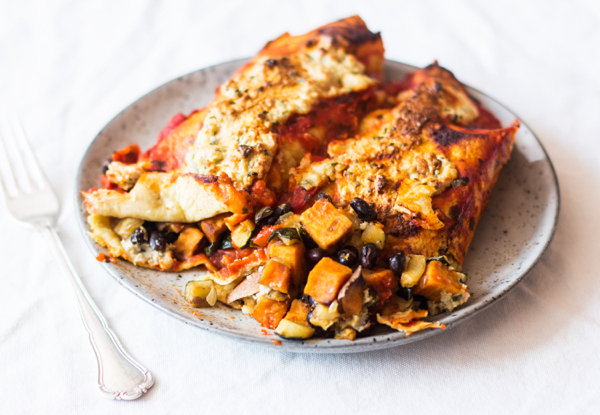 My husband and I had the Sweet Potato and Black Bean Enchiladas for dinner! 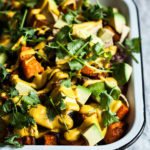 My husband hates sweet potatoes; but I wanted to try this recipe anyway—the pictures made it look so good. After eating a few bites of the roll-ups tonight, my husband said, “these are excellent!! !” I smiled and told him sweet potatoes were the main ingredient in the filling. His comment was, “well, that’s the first time I have ever liked sweet potatoes!” Thanks, Gena! Everyone should try this recipe. At least add it to your “To Make” list! You won’t be disappointed! I thought I had iron deficiency but then went to the doctor who decided upon thyroid problems, put me on a “healthy” dose of synthroid and sent me on my way. I felt better, then started to become more educated and not so comfortable with the hormone replacement therapy, changed my diet, stopped my synthroid, went back to the doctor a year later and all my levels were normal. I now always ask my doctor what options are available and what could be the underlying cause. I still haven’t found anyone who is willing to look to nutrition first or even as supplemental therapy. Your patients will be lucky! I just made this for dinner and my husband and I scarfed it down! So, so good. Thanks again for a great recipe, Gena! I thought I had some blackstrap in my pantry, but when I went to cook I couldn’t find any. So I used agave nectar instead. I didn’t get all the iron goodness, but it still tasted delicious! I made these for “Mexican night” at Bible study tonight and they were a hit with the meat-eaters (and me). The tomatillo sauce is a nice counter to the sweetness of the filling. Will definitely keep this recipe in my aresenal! I made these tonight and they were AMAZING!!!! UNBELIEVABLE!!!! Happened to stumble upon the recipe by accident this morning which was perfect because I had 4 people over for dinner tonight. It was the perfect meal and they all loved it (everyone wanted seconds!) I replaced the agave/sugar with stevia and that tasted just as good. It also give me an excuse to open the bottle of molasses that I had in my pantry for way too long. Thanks to you, I now have a new favorite dish for dinner parties (or for myself when I want to cook once and have leftovers for the week). Thanks! Love your blog/site/recipes – Keep up the great work, Gena! Excellent article (which I shared). It perfectly answers the questions that many Vegans and non-Vegans alike have regarding iron. Also it is a good article which debunks the myth that we need animal foods to get enough iron. Thank you so much for the great recipe as well!! I love you Gena! Wow, became a Vegan two months ago after reading ‘Mad Cowboy’. It’s a whole new perspective on reality – a happier, more positive one! The hardest thing to start with is “what do I eat?” People like you are the light and the way. I can’t wait to try some of these recipes! They look great! Hi! Quick question – I don’t have tomatillos available, but really want to make this. Would a good jar of salsa verde work? I’ve done it! Works beautifully. Go for it, Nathalie. Jen, my recipes are pretty improvisational, so it’ll be hard to nail down cooking and prep times, but it’s a good goal to work toward! I thought the molasses taste would be overpowering, but it’s not at all, in fact the filling is so good that it would make a good meal or side dish all on its own! I am always looking for ways to use blackstrap molasses, but happened to stumble upon this recipe when looking for a way to use up all the tomatillo salsa I just made. Thank you! i love homemade enchiladas! I made them last year during the winter, and am never going back. mine used a homemade red enchi sauce (blogged it! 🙂 ), but i really want to try your tomatillo sauce, I’ve never personally made anything with them, but love green enchis, too. This recipe is a favorite, Masala Girl! Hope you enjoy it. I’m also iron deficient, so reading this post was so informative! And such a delicious recipe too. I do love sweet potatoes this season – it’s winter weather here in australia so they are perfect.